Want to replace Quicken? We’ve got you covered. As the granddaddy of personal finance software, Quicken was once the best money management tool on the market. Heck, it was practically the only tool on the market. Though it was all the rage back in the day, little has been done over the last few years to improve Quicken. In fact, Intuit (famous for programs like Quickbooks and Turbo Tax) actually sold off their ownership rights to Quicken back in 2016. Since then, rumors have swirled that Quicken will actually shut down its program for good. Luckily, Quicken is not your only choice for personal finance software. These days, there are a number of alternatives that can help you manage your money as well as Quicken ever did…and for less money. In fact, some of the best Quicken alternatives are actually free! So, if you’re looking for a new program to manage your money, you’re in the right place. 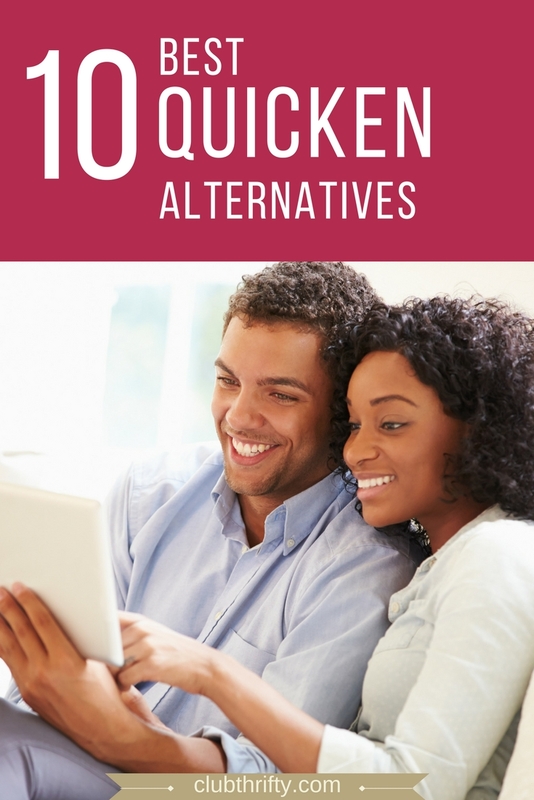 Check out our list of the top 10 Quicken alternatives below. Personal Capital is our favorite money management software of all time. We’ve used it personally for years, and we continue to be amazed by this powerful software. 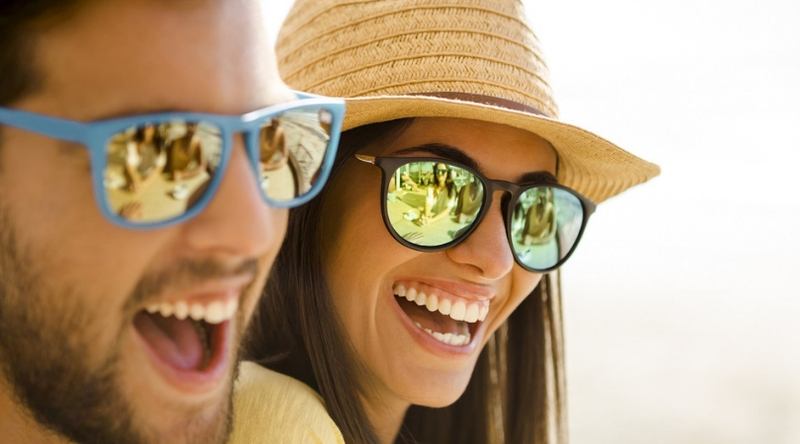 What’s so great about Personal Capital? For starters, it’s free. That’s pretty awesome considering they offer a comprehensive collection of money tools in one convenient place. Here, you can track your spending, net worth, and investments. You can also use it to check your investments for expensive fees and calculate whether you’re saving enough for retirement. These tools are all 100% free and at your disposal after a simple sign up process. In short, Personal Capital synthesizes the data from all your accounts and delivers a complete financial picture that’s easy to understand. Just link Personal Capital to your bank, credit, and investment accounts and let the program do the heavy lifting. It imports your transactions and calculates how your spending aligns with your budget. Unlike some other alternatives to Quicken, Personal Capital is more than just budgets. And, since it is free, it makes a great compliment to some of the other programs as well. Personal Capital also offers a powerful investment management tool. It tracks your asset allocation, monitors your investment performance, and analyzes your fees. It even takes your retirement goals into account and estimates your retirement income/expenditures based on your financial data. And, of course, Personal Capital also calculates the value of your assets relative to your debt (i.e. your net worth). It might sound like a lot going on, but the app is incredibly user-friendly. A summary of your financial situation is available on the dashboard as soon as you open the app. With all these money tools being offered for free, you might be wondering how Personal Capital actually makes money. Good question. They also offer fee-based wealth management services. Those are entirely optional, and you’re in no way obligated to subscribe. Tons of users enjoy the free suite of tools without using the wealth management services. In my opinion, Personal Capital offers the best free money management software on the market. With a robust collection of money tools and a free price tag, this program blows many of the other alternatives to Quicken out of the water. Check out our complete Personal Capital review for more information! Tiller is a relative newcomer as a money management software program. This financial tracking tool is used in conjunction with Google Sheets (Gmail account required). So, if you’re into spreadsheets, Tiller might be just your thing. Although it started out as solution for budgeting, Tiller has become more than just a budgeting program. Tiller can help you prepare for tax season by running detailed reports on your itemized deductions, annual spending by category, and more. For self-employed people and freelancers, they also offer a nifty tool that helps you determine your estimated quarterly taxes. They also provide a debt snowball worksheet and some simple net worth tracking. To get started, simply link your bank accounts to the program. Then, Tiller will automatically download your financial transactions into Google Sheets on a daily basis. From there, you’re free to take advantage of Tiller’s limitless customization options. They provide multiple budgeting templates you can use, but you can also create a brand new spreadsheet unique to your preferences. Every day, Tiller emails you a summary of your financial activity so you always know exactly what’s happening with your money. You can try Tiller free for 30 days to see if it meets your needs. After that, it’s about $5 a month, or free for a year if you’re a student. You Need a Budget (YNAB) is an excellent choice for anyone who wants an easy to use and effective budgeting app. YNAB doesn’t offer a whole suite of money tools like Personal Capital. It focuses on two things: building a realistic budget and tracking your spending. And that’s ok, because it does them both very well. I say a realistic budget because YNAB’s philosophy is that a budget is fluid and should be adjusted frequently in response to what’s going on in our lives. That’s why YNAB makes it so easy to move money between spending categories to keep your budget balanced. For example, if you’ve budgeted $300 for groceries, but your transactions indicate that you’ve spent $340, YNAB will notify you that you’ve overspent and prompt you to deduct that $40 from another category. This system is especially useful if your goal is to maintain a zero-sum budget. When you use YNAB, you have two choices. You can either automatically import your transactions by connecting to your bank and credit providers, or you can enter your transactions manually. Obviously, automating things is easier, but some may appreciate the option to do things the old-fashioned way. YNAB offers a free 34-day trial, so you can try a full month of budgeting with no commitment. After that, the cost is $6.99 a month, billed annually. That means once a year, you’ll pay $83.88 to use the app/software. Unless you’re a student – then you can enjoy 12 months for free – which is a pretty cool benefit. Also cool is that YNAB offers a 100% money-back guarantee. So, if you buy the app and decide it’s not helping you take control of your finances, YNAB will give you a full refund. Can’t argue with that! Like with some of the other Quicken alternatives, when you link your financial accounts to Mint, you have access to your whole financial picture in one place. As we mention in our full Mint review, you can build a budget, track your spending, monitor your investments, and manage your bills. The bills feature is really nice for people who haven’t automated their bill payments and want the ease of managing them on one platform. Mint also lets you check your credit score and explains how it’s calculated. I think this is pretty neat because a lot of people don’t know their credit score or understand how these scores work. With all that under one roof, you might be surprised to learn that Mint is free. Hey, we’ll take it. CountAbout web-based personal finance software is another contender for the best Quicken alternatives. This program actually supports importing data from both Quicken and Mint, which is nice. When you use CountAbout on a computer, there’s no app to install; you simply log in to their website. They do offer a mobile app for iOS and Android, but not all the features are available through the app. Use CountAbout to create a customizable budget; then, sync it to your bank account to automatically import your transactions and track your spending. You can get a snapshot of your financial activity with widgets, or general full financial reports. CountAbout offers two membership options: basic for $9.99 a year or premium for $39.99 a year. The only difference between the two is that the basic membership does not support syncing with online bank accounts. That means if you opt for the basic membership, your transactions will not be automatically downloaded. Your options are to enter transactions manually or import QIF files from your bank if they make those available. If you’d like to try CountAbout before committing, you can get their 15-day free premium trial. Moneydance is another viable personal finance software alternative to Quicken. In fact, if you currently have Quicken data, you can import it into Moneydance. It’s available as a desktop app for all the major operating systems and as a mobile app. Moneydance’s interface kind of resembles a check register, where you see a record of all your transactions. Those transactions can be imported automatically by syncing with your online banking, or you can enter them manually. If you choose the automated route, you can also manage bill payments through Moneydance. Of course, it wouldn’t be personal finance software without the ability to create a budget. Moneydance lets you create spending categories and track your expenditures. If you’re a visual person, you’ll appreciate the interactive graphing tool. You can also use Moneydance to track your investments and monitor stock performance. If you’re technologically inclined (i.e. a tech nerd), you can actually develop extensions for Moneydance using an Extension Developer Kit they offer as a free download. But I won’t get into that today! You can try Moneydance using their free trial, which works a bit differently than the other trials we’ve talked about. There’s no time limit on their trial, but you’re limited to 100 manually entered transactions. Still, that’s enough to decide if Moneydance is for you. After that, you can buy the full program for a one-time fee of $49.99. They also offer a 90-day money back guarantee when you purchase from their website. Banktivity is a personal money manager made for Mac users. The newest version, Banktivity 7, is designed specifically for MacOS Sierra. And – like Moneydance – when you turn to Banktivity as a Quicken replacement, you can import your data for a seamless transition. With Banktivity, you’ll sync your bank accounts and use it to build budgets, track your spending, pay your bills, and monitor your investments. They also offer some really cool reporting options. For example, you can generate reports based on category spending or spending at a given merchant. So, if you want to track how much you spend on eating out, you can easily generate a report showing all your spending in that category over a given time frame. Or, if you want to get even more specific, you can easily pull up how much you spent on McDonald’s in the past two weeks. The “Find” feature in Banktivity is kind of like Mac’s spotlight – it lets you search all your transactions to find the one you’re looking for. This can be a great time saver when you’re trying to quickly check something specific. Banktivity offers a free 30-day trial, no credit card required. After that, you can purchase the desktop app for a one-time fee of $69.99. You can then download the app on iPhone and iPad and sync across your devices. GoodBudget is a simple budgeting app that helps you plan and track your spending through a digital version of the envelope method. If you’re unfamiliar with the envelope method, this is a style of budgeting where you use an envelope for each spending category. First, you’ll plan how much you’ll spend on each category (usually throughout the month). Then, you allocate cash for those expenses in each category’s designated envelope. Throughout the month, you’ll take money from a designated envelope each time you need to spend in that category. If you run out of money in an envelope, you can’t spend any more on that category… unless you borrow the money from another envelope (which will reduce your spending power in that category). The free version of GoodBudget gives you twenty envelopes and allows you to download transactions from one bank account. You can also sync across two devices – which is great for using it on desktop and mobile. You can also use one sync to share a budget with your partner. GoodBudget Plus costs $6 a month or $50 a year. This gives you access to unlimited envelopes and bank account syncing. You can also use the app on five different devices. Since you’re likely to have more than one account and may both want access on multiple devices, GoodBudget Plus is probably more practical for a couple who shares a budget. That being said, it’s great that this software also has a free option. Dollarbird is another simple, no-frills budgeting app that makes for a good alternative to Quicken. This app is unique in that it’s calendar-based rather than category-based. What this means is that Dollarbird focuses on tracking your income and spending by day, rather than by category. So, when you open the app, you’ll see a calendar. From there, you have the option of adding transactions (income or spending) for each day. Although you do categorize your transactions, the app displays your net spending per day rather than a running category total. At this time, Dollarbird does not support syncing with your online accounts. This means all your transactions must be entered manually. However, you can schedule recurring transactions so you’re not constantly required to enter your regular fixed expenses. If you’re paid a regular salary, you can do the same with your paychecks. The free version of Dollarbird gives you access to one calendar – perfect if you’re doing a simple solo budget. The paid Pro version allows up to 20 calendars and can be accessed by three people. Again, the paid option might be more practical for couples. You can opt to pay $3.99 monthly or $39.99 for the year. MoneyWiz is another alternative to Quicken that works with Apple, Android, and Windows devices. With this app, you can easily sync all of your financial data into one place. It also boasts a live syncing feature which allows you to sync data between devices in real-time. Using MoneyWiz for budgeting is also a breeze. The app allows you to create different budgeting categories which you can set up as a one time or recurring category. Balances can be rolled over from one period to the next, and the program will even monitor your accounts for transactions – automatically updating the relevant information as you go. You can also transfer money between categories, similar to the “envelope” method. In addition to the automatic syncing functions on the premium version of the app, MoneyWiz also allows you to enter your transactions manually. It is also capable of creating multiple reports and graphs, including custom financial reports. So, if you’re looking to replace Quicken, MoneyWiz may be worth a try. While there is a stripped down version that’s free, you can get all the functionality by purchasing the premium version for just $4.99 a month or $49.99 per year. GnuCash is a free open-source financial management software that runs on some Windows and Apple operating systems. The app uses the double-entry accounting method to help you keep track of your finances. Business owners should already be familiar with this concept as it is the preferred method used for balancing books and keeping accurate financial records for companies. With that said, the app can help with your personal finances as well. Through GnuCash, you can track your bank accounts, income, expenses, and investments. If you’re planning to replace Quicken, you can input your information directly from your old software. GnuCash is also capable of running a variety of financial reports for those who need them. GnuCash is typically better for those who have a business and isn’t a perfect fit for most people’s personal finances. However, it is free, so it may be worth a try. Last but not least on our list of Quicken alternatives, we have Everydollar. If you’re a Dave Ramsey fan, you may want to give his budgeting tool a try. Everydollar lets you budget your income into customizable spending categories, then enter your transactions and track your spending. The free version doesn’t link to your online accounts, so you enter your transactions manually. (If you want to automatically sync to your online accounts, you’ll need the paid version.) That’s not a deal breaker, but one thing I’ve noticed is that the app doesn’t seem to remember the category associated with a payee that’s previously been entered. Adding that would be a nice touch. This is a super simple budgeting app that should meet the needs of someone who wants to get started with planning a budget and tracking their spending. It’s free, so there’s no risk involved in trying it out for a few months to see what you think. With Quicken no longer the only financial tracking game in town, there are plenty of options to choose from. Whether you’re looking for a simple budgeting program or a complete personal finance software package, there’s enough variety on this list to suit almost any need. Although everybody has their preferences (us included), ultimately, the best financial tools are ones you’ll use consistently. So why wait? Use one of the links above to download a free app or start a free trial to find out what program works for you. How many of these money management tools have you tried? Which is your favorite? Let us know in the comments! NextChicago CityPASS Review 2019: Is It a Good Deal? May Day or Mayday: Which is it for Your Money? Personal Capital and Mint are two of the best apps that anyone could have. From beginner to expert, they just work. I’ve used Mint for years, and it just keeps getting better and better for me! There are a few on the list that I haven’t heard of yet (surprisingly) but now I’m going to go check them out. Thanks for sharing! Agreed. They are both great! How do you do statement reconciliations in them? Agree! With Mint you can change transaction dates when needed (for budgeting alignment). For us who receive a 1st of the month paycheck, which usually posts early when the 1st falls on a weekend or holiday (non-banking day), the inability to change the date completely messes up the ending month and next month budgets. Same with any bank “auto-drafts” on the 1st. Happens about 3 times a year. This makes Personal Finance (PC) worthless for budgeting. The change transaction date feature has been requested for years and PC ignores it. Poor customer service in my opinion. No thanks to PC. That’s a fair point, and there are better tools in a strict budgeting sense. Still, the tools are free and provide a great overall picture of your financial health. They’re often best used in combination with a budgeting tool. We love personal capital for the grand view. We also have used Mvelopes for almost a decade and as a budgeting and cas management tool I have not found better. Very similar to the Every Dollar tool and Ramsey philosophy. Were you able to review this one? Curious your thoughts on how not compares to tbe others. I have not used Mvelopes yet. Sounds interesting! I think Mint took a big step back when they shut off their bill pay functionality. A lot of folks used Quicken for the bill pay and Mint was a good answer for them, but now that Mint shut it off it’s not nearly as clear. Agreed. You can still see when your bills are due and the reminders are nice, but losing the extra step of automation kinda stinks. You would think, but I pay all my bills through direct EFT and ACH withdrawals. I don’t use Bill Pay anymore. I like to see a projection of my available finances for the month, but so far Quicken seems to be the only one that can do that. Everything else is based on a daily snapshot of your spending. Have you reviewed any that allow you to see past today in spending? Started with MS Money. Moved to some paid program that was similar. My hard drive crashed and I didn’t have the activation code saved, so I could not install it again. Found Money Manger EX. I can put in reoccurring transactions. And drop them into the checkbook as needed. 2 weeks ahead, 1 month or more. I have my paycheck set for less than I expect. And the bills for a little more than expected. When I get paid, or write the check, I put the correct amounts in. I don’t understand how you and other “Quicken Alternatives” reviewers gloss over what I consider a “show stopper” with Personal Capital (PC)! You cannot change transaction dates. That makes it USELESS for budgeting. I have a retirement pay (military) that posts on the 1st of every month. But if the 1st falls on a weekend or holiday they post it the last banking day before that. With PC when that happens I have a double pay in one month and no pay in the next and cannot change that. Since this scenario happens about 3 times a year, PC is worthless for monthly budgeting. When it comes to straight budgeting tools, there are certainly better options (Tiller, YNAB, etc.). The tools are free, so there are going to be limits to what they can do. With that said, to track expenses and get an overall picture of your financial health, I don’t think there’s a better free option out there. I deleted PC because It could not track Schwab Mortgages and My HSA. Besides I am shedding Quicken because I don’t want all my Info in the ‘cloud”. Comcast goes down once a month and online data becomes inaccesible just when you need it. I have tried PC for a few months now (running it while also still using Quicken ’16). I also tried Mint several years ago and will give it another shot. Two things keep me from dumping Quicken yet. First and foremost is the ability to have attachments on my transactions. I scan and attach all bills and major receipts/communications. This way I have a one stop shop to find an item via Q’s search feature. This has helped out many times when an appliance/device craps out and I need to find my proof of purchase to get warranty service. Second is the ability to have transaction reminders that can be auto-entered into the register. This allows me to look ahead to see where my expected spending and expected income is taking me (This is the closest I come to using a budget feature – but I hate the word budget). If contemplating a major purchase I’ll just plug in the transaction and see what effect it has on my outlook (Not a budget, LOL!). I do not use the transaction download feature for my checking account with Quicken because it ALWAYS caused me to have duplicate transactions when writing a paper check because of manually entering when written and then duplicated when cleared at the bank. VERY inconvenient. At least PC will help you correct duplicates – but no attachments. Bill payments through the app or program not necessary. Reading further, it looks like Moneydance would be the best alternative for you for Quicken. It also allows you to use it standalone on your computer (PC or Mac) and also allows auto-entry of transaction reminders. I hate the Auto entry now because they made 2 layers out of it. If you don’t manually “Enter” the trans., it won’t clear when the bank downloads it. I also don’t use the attachments. I mostly like it for the tax prep categorization and the Offline presence of my data which is backed up to SD card. My greatest fear is the last update for QB 2017 will be the one that totally disables the software. You are not quite correct when you say Quicken data can be seamlessly imported into any other program. In order to move Quicken data over to any other program, the data has to be converted to a .qif file. That conversion comes with a ton of restrictions, and if you do complex splitting, your data doesn’t get converted properly, and is in fact, quite useless. My suggestion: double up on two programs: one Quicken and another alternative for three months, then abandon Quicken, keeping it for legacy purposes. That’s what I did when I moved to Moneydance in 2006. And even then, I have not updated Moneydance past it’s 2010 version because Moneydance refuses to give the option for one line splits as of 2011, and my finances require many splits in a transaction. As a Macintosh user, Intuit has not been a friend. I will no longer use *any* Intuit products. There are much better alternatives. Stewart, I agree that Intuit has always treated its Mac constituents as unwanted step-children. And D.D. I agree that you pretty much have to choose between downloading your transactions and manually entering them in Quicken for Mac—it’s either/or. Manual entries lead to annoying duplicates if you also download your transactions. But if you do choose to download, best not make any manual entries. You’ll find yourself making sticking Post-it notes on your desk till the latest data comes in, and you’ll NEVER be able to ‘train’ repeating transactions to consistently be labeled the same way under Payees. That should be a cinch. Anyway, here’s my question to everyone: which of these apps have the most patient, responsive telephone support. Call me a thumbsucker, but I need adult supervision now & then! Having Personal Capital attached to my bank accounts, how are my finances protected ? All of your data is encrypted. Additionally, you can’t actually move any money around through the app. Great article. I’ve used Quicken for over 20 years, and I’m finding it difficult to find software or an app that allows me to enter my transactions manually and then gives me the ability to reconcile them to either the online bank balance or a paper statement. I realize that this puts me in the dinosaur category (and I’m not all that old), but to me, it gives me control over my finances and allows me to do the one fundamental step I was taught was essential — reconcile your bank book to your bank statement. Is there a good Quicken alternative I should consider? I’m in the same situation. I want to manually reconcile, I want split transactions, subcategories, and the ability to run end of the year reports. I don’t care about budgeting or tracking investments. Any suggestions? Donna, I’m with you all the way. Too bad this hodgepodge of suggestions all over the internet for replacing Quicken for Mac are so confusing when it comes to just the simple functions you cite. I wish someone would create a comparison chart. I want to start with a new app on Jan. 1 (to replace Quicken), but it seems we just have to take a stab at what looks like it might have those basic Quicken-type functions and then start trying various apps… not appealing when you’re dealing with real-life receipts that pile up every day and have to be entered. And to whomever manages this internet page, please get off this fad of making your font almost the same invisible color as your background. Forget popular fads and us darker “ink” on the page. Repeating my question above, does anyone know which of these developers offer the most HUMAN assistance? Not FAQ’s, not chat. Knowledgeable people who might even be willing to screen share…? I am looking for apps like Foreceipt where you can photo receipts or screenshot email receipts and it ocr s major details and stores the photo. Not 100% accurate but even with corrections ocr is such a time saver. Lately have had some problems with Foreceipt. When I first got it and it worked well it was outstanding. I have used Quicken for years. I bought the newer version and it choked on one of my accounts on downloading. I called for support. (A support contact number was not readily available on line but my bank had a contact number for support and I got through.) They understood the problem and said it was an easy fix. But, they wanted a one year subscription for support for $199. Ridiculous! Goodbye Quicken. I am leaving them. I have tried Every Dollar. It does down load from all of my accounts and credit cards which is nice and works well It is an easy program to use but they do not offer downloading of reports. I have used report generating for years to help with taxes at the end of the year. So, I am still looking for a program. I don’t mind paying an annual fee but I need a report generating capability. I basically got spoiled. I noted you did not mention this in any of the reviews. Somehow you missed that Every Dollar has the capability to Sync up to the Bank accounts and services. Do you have any update on this and the report generating capabilities of the others? An informative article and the comments offer great questions too. I nolonger use BillPay because using banks bill paying functions. I do download transactions in order to reconcile as well as downloading investment performance data. Bob White asked about tax reports and a major reason that I used Quicken in the past was the ease of producing tax reports or even exporting data to tax preparation soft ware. I don’t see an answer to Bob White’s question and would like to know how these alternatives assist me to prepare to file income tax. I use moneylover. What do you think about that? This appears to only work for Vietnam? The query about cloud-based or non cloud-based has not been addressed. This is pretty critical for lots of folks. Can’t imagine why that little nugget was not included in ALL reviews. I know Q and MoneyDance are PC based software but what about the others? I’ve used Mint for years, but recent changes have made it almost unusable. I bank at Capital One, and the sync is now delayed 24-48 hours. That means no more near-real-time views into my spending. The balance updates, but the transactions don’t follow quickly. I’m looking into some of the alternatives mentioned here. I moved to Moneydance when quicken moved to a subscription model – love it, a few bugs but good support helped me fix them. BUT no Canadian version, yet. I’m also a long time user of Quicken and refuse to change over to their subscription – am thinking of moving to Moneydance. What quirks/problems do you find with Moneydance with it not having a Canadian version? I don’t see a way to post a comment or question except to “Leave a Reply.” This isn’t a reply, it’s a question. Is Personal Capital web based? Sounds like it must be, but there’s no straightforward statement about it here or on their website. Is it available as a desktop app, or just a mobile app. Some of the screenshots look to be from a desktop app, but they only picture phones on their website. I want a desktop stand-alone app. I don’t want any of my business going to someone else’s server or website. Does that put Personal Capital out of the running? Another question: Are you familiar with Debit & Credit? From what I can see, it has all the basic functions of Quicken. (I don’t use tracking, downloading bank info, budgeting, etc. I just want to categorize all my expenses for end of year reports (for taxes) and to be able to enter transactions like in Quicken.) Any thoughts about Debit & Credit? Thanks, and especially thank you for the yeoman’s work you have done in comparing so many financial apps. By the way, “free” is not a big factor for me (and I would think anybody). As long as a price isn’t over the top, it’s more important to have the features you need than to save a handful of bucks. Personal Capital is web-based, so it sounds like it probably isn’t what you’re looking for. The free calculators and other tools may be of interest to you, however. If you’re a Mac user, Banktivity is probably your best bet. I tried to sign up to Personal Capital, can’t get past their LOG-IN / Sign up screen. It insists on a 10 digit phone number, doesn’t like mine, it is an Australian number. PC appears to only for America….. no good for me!! Any reason you didn’t include MoneyWiz? Cheaper than Moneydance. How is MoneyWiz cheaper than MoneyDance? MW is $49.99/year, while MD is $49.99 one time to buy the software. I have used Qucken ever since the demise of Microsoft Money. I have needs that seem to me very uncomplicated: I need a product that will download my bank transactions, will track and project my monthly expenditures, and generate a report showing cleared and anticipated banking transactions for the current month. Quciken’s subscription model and its repeated pop-ups promoting renewal and upgrade (even though I opt out of “remind me again”) are annoying and I think the price is too high for capabilities that I don’t need or use. Is there an alternative that will do what I need at lower cost? I really need quicken for my personal banking. Since they want me to subscribe now, which I don’t want to, I am looking for the BEST program to replace Quicken. One that kind of acts the same, but you don’t need to subscribe. I don’t mind paying a one time fee to own the program. Please help! Long-time Quicken user even though I changed platforms to Mac in 209 and put up with its woefully crude version for Apple users. I need to know which of these alternatives will generate for me an annual summary by category of both Income and Expenses for tax purposes….. short of trying 4 or 5 of these and digging down I have no inkling of which would be useful. I also download banking and investment transactions through Quicken. So I’ll need something that does that too. Can you help? I don’t mind a fee although free is enticing, but NOT if it doesn’t give me these two things. I also have a financial manager and don’t need unsolicited phone calls. Give me an accounts window (without the unnecessary folders for cash, cc, investments), individual account windows when I open them, keep the legacy register format that has been used for many decades (it just plain works and makes sense, newest on the bottom, empty one at bottom ready to be filled in), a way to run reports the way it’s done in 2007 (again, simple, makes sense, easy to get what you want out of it). STOP the incessant altering and revamping. It does not work as well for the end users. It seems there are no alternatives which do everything Quicken could, if it worked well. Not sure what I’ll do, and may even have to subscribe to Q for another year just to wait for something better. Just started a 30day trial with Banktivity. It is not mentioned above that in order to have the most seamless download experience with your banks/institutions online there is a subscription fee for this. otherwise you can manually download and input or hope that the OFX files work. So far although I have Capital One accounts 360 I have been repeatedly unable to have the Banktivity account get online despite, correct credentials, etc. I can’t waste all this time on a set-up that is arduous to set up. Maybe I’ll try it again tomorrow, but wow, that’s an hour I’ll never get back. With no results to show for it. I am having trouble finding a Quicken replacement. While many of these noted here are fine check register and money management, I do not see one that includes online bill payment integration. Online bill payment is a key Quicken feature, schedule a payment, see it immediately in the check register. I’ve used quicken for years, and I think they are getting a bit too aggressive with their pricing. I do not use it at all for budgeting, only for investments. Tried Personal Capital, but it’s Only able to download my holdings. I am looking for an alternative that will give me my cost basis and current value. Anything out their worth trying? Give MoneyDance a try. I’m trying desperately to get away from Q 2019 even though I’ve used it since 1995. I am experimenting with MD now. I imported everything even though MD says there is no qif option in Q2019. I did it and it worked amazingly well. Lot of clean up and deleting of defunct accounts, but much better results than when I tried a couple of years ago. I may have run into a problem with investment transaction classification but think I can figure out a workaround. It’s in the area of reinvested income. Q has all options available, LT, MT and ST gains can be reinvested and there can be a return of capital. MD hiccuped on the return of capital and has not recorded change in basis correctly. However, since I am not a corporation and won’t be subject to auditing, I have no problem making “adjustments” to get basis correct to move forward. I’m taking the opportunity to clear out old unused accounts and streamline the entire account list. I plan on keeping my old Q data for reference only once I actually make the switch. The only thing that had been holding me back was the import issue. MD seems to have everything I need; local files, no cloud, portfolio management, bank import, reasonable cost and no dicking around with silly passwords and accounts and such. I’m not sure how old some of these comments are since they don’t seem to be dated, but it seems that the same questions go unanswered time and again. – Long time MS Money user, forced to switch to Quicken some years back. Have had no end of issues with Quicken and frankly detest the software. Major issue downloading Wells Fargo transactions… WF blame Quicken, Quicken blame WF with me, as the customer stuck between a rock & a hard place (personally I think the issue lies with WF since I don’t run into the same issues with 6-7 other institutions. – I’ve had to upgrade for PC a few times and am done with Quicken! I also switched to Mac so only ever power up my pc for quarterly / annual reports on Quicken. Complete waste of my time! – I’m not interested in the ‘budgeting’ aspect of software and just want a software that easily syncs with my banks, where I can add new accounts (some accounts are offline only) add / change categories (with the option to remember previous transactions / categories since Quicken is notorious for autochoosing the wrong category which I keep having to correct every month. Really annoying! Then, providing I have categorized thousands of transactions correctly throughout the year, I simply print out a report, and hand to it my CPA as the basis of my tax returns. – Of all the ones suggested, I have tried Countabout but support leaves a lot to be desired and I’m not sure it really be able to provide the level of tax reports I am looking for. It PAINS me to still be using Quicken, (hopefully 2018 tax year will be the last) and I would love to find that online solution asap to start 2019 taxes with a clean slate. $59 per year is pretty steep from a cost perspective. You can get 2 years of Quicken Deluxe for $10 more. I’m not comparing the functionality of the two. One of the knocks against Quicken is that it changed its model to a yearly subscription service. The one big negative I see with Tiller that stands out to me is the inability to reconcile transactions. Any info on Moneyspire as a good financial software? Is there any software that you can manually load checking acct tranactions via CSV or similar file and still track other accts online? I have checking and savings at a small credit union that does not have capabilities of allowing online linking and downloading like what seems to be almost every other financial establishment offers. I’ve been with Quicken sine 1995 but have finally and fully become fed up with Q. I want mac based (not cloud based) software and need to be able to port my data from Quicken. My needs are simple reports, and a checkbook type interface for tax purposes. I’ve narrowed my options to MoneyDance, as I understand that Banktivity is cloud based. All my devices are Apple. What do you recommend? I gave MoneyDance a spin a while ago, but I couldn’t effectively import my Quicken data into the program (I used Quicken just as long as you if not longer). Quicken has never developed a way to effectively export its data to a standardized format so it can be used by another program. They promised it literally for decades and never came through. What I did and worked well for me is to consider everything on Quicken as legacy and begin anew with a new program like Moneydance. Back in 2006 when I did this, I doubled entry for three months, putting data into both programs, then kissed Quicken good-bye and have Quicken 2007 on my computer just to look at that data if absolutely necessary. As the years went by, I’ve opened it less and less so now I don’t open it at all, but it’s still there for reference. Recently, I did an export/import from Q to MD and was surprised at how well it went. I tried it a year or so ago, and it was a disaster. This time after seeing an article stating Q had stopped supporting the qfx format, i gave it a try for the hell of it, planning on complaining to Q. Waste of time I know, but it does make me feel better for a little bit. Anyhow, it wasn’t true and the import was quite a success. There is tons of stuff to clean up but there will be with any conversion. I haven’t completed the transition from Q because of other demands on my time but I am convinced it’s going to be successful. I’ve even re-imported some accounts after messing up balances by deleting obsolete accounts. I worked in accounting/finance for many small-to-medium nonprofits and ended up specializing in data conversion and there were always glitches and clean up to do. I am now convinced I will be able to leave Q, once and for all. Donald, I would be very careful and not throw away Q any time soon. But it all depends on what you were using it for. If you didn’t have some of the more complex transactions, you might be fine. Most of those would be with investment accounts. See my other post. Thank you, quickdraw, for the caution. I definitely plan on running both until I’m sure things are good with MD. Five years ago, I made an archive file of Q to reduce the size of the data file and still have to pop it open so I assume the same thing will happen once I make the move. Portfolio does have some complex transactions and I think some will be a problem with MD. I haven’t fully delved into the MD investment transaction capabilities but at first glance I’m not seeing Return of Capital or Reinvested Income but I’m pretty sure I’ll be able to come up with a work-around. I know how to make adjustments to keep portfolio in balance with statements and I retain cost documentation. I only have 12 stocks that would be affected by complexities, balance is mutual funds and preferred stocks. Less of a problem than Q dropping transactions and losing three months of reconciliations on banks and credit cards. I just gave Tiller a 30-day test run. I will say that Tiller makes categorizing transactions easier than any program I’ve used in the past. However, it was my experience that one really needs a PhD in spreadsheets in order to do much of the analysis and report running. I’ve used spreadsheets for 35 years , but I couldn’t get out of it what I needed without spending way too much time learning the techniques. To Tiller’s credit, they have a lot of help articles and videos. However, my time is much better spent with a simpler solution. To that end, I’ve been on the hunt for two years for the “perfect” Quicken replacement, but I don’t think it exists at this time. My current solution is to use Mint to manage and run analysis on my spending accounts (bank accounts, credit cards, mortgage, car loans, etc.) and Personal Capital for managing my investment accounts. I would move over to Personal Capital for everything if they would fix a few things. My biggest issue with Personal Capital is their inability to allow split transactions. Neither Mint nor Personal Capital allow for account reconciliations which would be a nice addition as well. For many of us, who have significant historical data and relatively complex finances, Quicken is THE only option. I have tried many of the above solutions, endured hours of testing … only to find some major deal-breaker that was not obvious because of the slick, glitz and glam interfaces. Hate it if you will (as I sometimes do and have in the past), each one of these options above has its shortcomings, sometimes even more substantial than Quicken. However, if you are new to the world of money management and just starting out to use software to manage your finances, then one of these options may very well work for you, at least in the short run. But eventually, you will most likely realize the shortcomings of your chosen package. This could be related to reporting or tax tracking and include such things as return of capital, capital gains, short sales, stock splits, re-investments, etc. None of these solutions provide anywhere near the functionality that is available in Quicken, at least the ones that I have tried. Eventually, when and if these things become important to you, you will need to switch platforms to something like Quicken that can handle most anything you can throw at it. I don’t want to pay the annual fee, but until such time as there really is a true replacement, I guess I have no other choice. **For Canadians —> there are significant differences between Quicken US and Canadian versions. As always, the Canadian version is but the poorer “afterthought” of its feature-rich cousin. e.g. Quicken Canada version does not support downloading of investment transactions. (i.e. trades, dividends, interest) held in a brokerage account. Also, keep in mind that these solutions make little or no consideration for Canadians, so you won’t even be able to automatically download simple banking transactions with them. A non-starter for most of us. which alternative programs to quicken has the feature to automatically download the quicken data to the new software when installed?